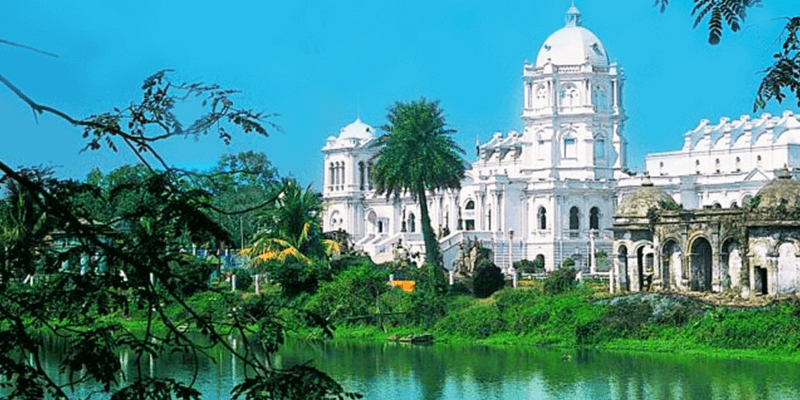 The erstwhile princely state of Kapurthala, fondly bestowed with a sobriquet of ‘The Paris of Punjab’, boasts of monuments and gardens which resonate the Indo-Saracenic and French style of architecture. Kapurthala (nearby Jalandhar) is also a great place to enjoy the lush green fields so typically associated with rural Punjab. But when it comes to the tourist places of Kapurthala palaces, monuments and forts spread across the city are the crowd-pullers. As the history of Kapurthala has it, the most famous ruler of this Princely State – Maharaja Jagatjit Singh was great patron of art. It was under his influence that many fine monuments were built all across the city. Though, Amritsar is the most visited destination in Punjab, yet Kapurthala has its own fan following. 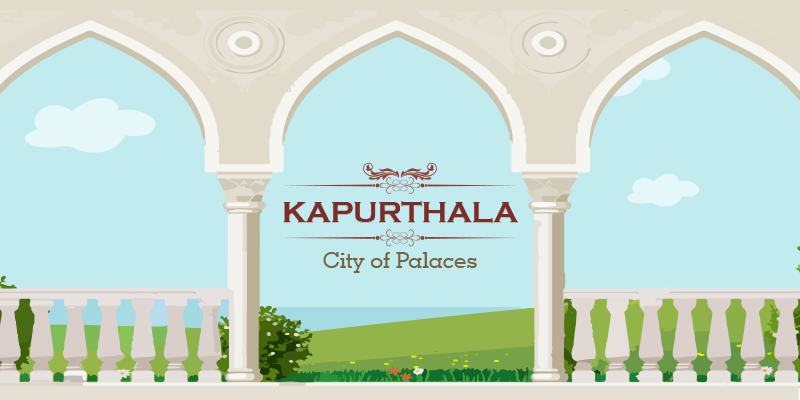 So, if you are planning to visit this princely city, do include the below tourist attractions of Kapurthala in your itinerary. 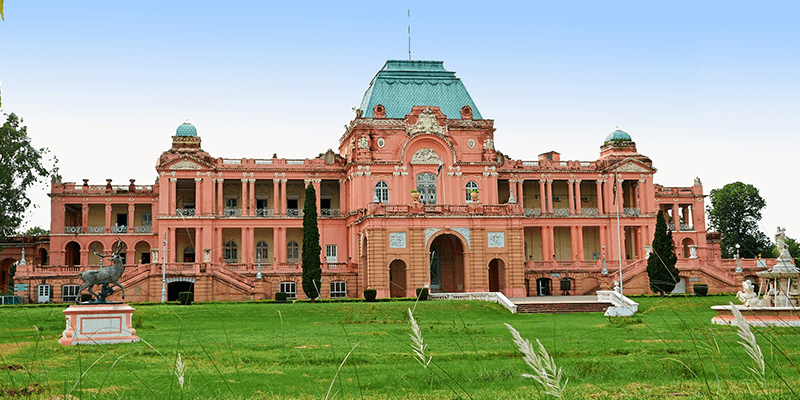 Once the abode of Maharaja Jagatjit Singh, the Jagatjit Palace Kapurthala was built in 1908. The French connection is apparent in its architecture. The palace is modeled on the lines of the Palace of Versailles. Designed by M.Marcel, a French architect, it is spread over an area of 809371.28 sq. metres. Designed in the renaissance style, the roofs are made in the ‘beaux-art’ style, with plaster of paris ceilings and a sunken park in the front which is popularly known as Baija. The most striking feature of the palace is the mansard roof which boasts of a double slope along with ‘oeil-de-boeuf’ windows similar to those of the Louvre in Paris. Lapis Lazuli pillars, are one among many things, that were imported from Italy to grace the palace. 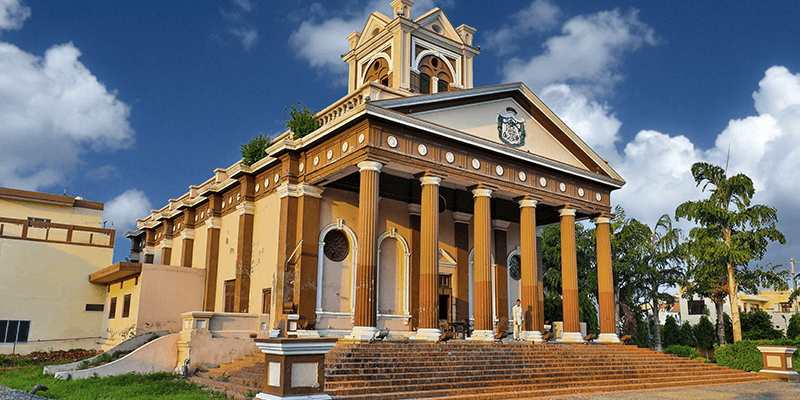 It is not only the architecture but the old world charm of this place that attracts tourists. Trivia: Since 1961, Defense Ministry has taken responsibility of the restoration and maintenance of this palace. Today, the prestigious Sainik School Kapurthala is located within the campus of this monument. Built during the reign of Fateh Singh Ahluwalia, Panch Mandir Kapurthala is treasured as a place of unmatched religious importance. 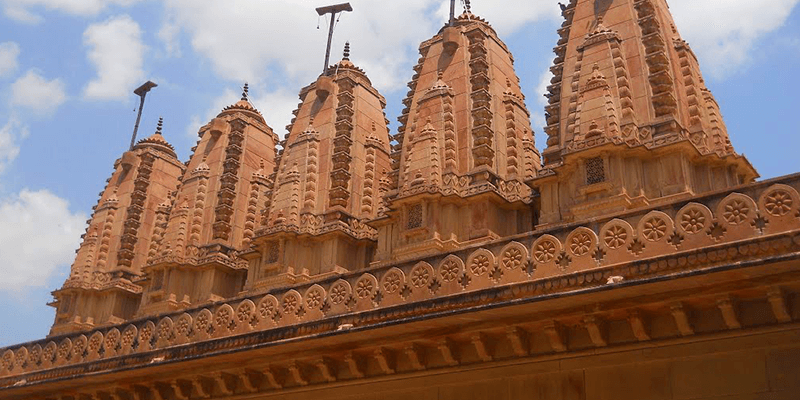 As the name suggests, the complex consists of five temples under the same roof. Dedicated to different gods and goddesses, the temples are constructed in a way whereby each of them can be seen from the main entrance. The temples are decorated with extraordinary designs. Trivia: Owing to its awe-inspiring architecture and design, a replica of this temple has been kept at the Lahore Museum in Pakistan. This is another French marvel of Kapurthala. Built in the year 1862 by Kanwar Bikrama Singh, this architectural beauty is something that the tourists surely cannot miss out on. The pink tinge, showcased in the exteriors of the palace exhibit a resounding influence of French architecture. The front part of this grand Palace is decorated with a sprawling garden and a large fountain. The monument is a perfect mixture of Indo-French architecture and aesthetics. Tip: Some of the rooms used by the Maharaja (such as his office, library, entrance hall) are now open for public viewing. All these rooms bear beautiful architecture and thus should not be missed. A birdwatchers’ heaven, Kanjli Kapurthala is situated on the western Bein rivulet at the outskirts of Kapurthala. In 1870 the local administration decided to build a dam to provide water for irrigation in the area. This led to the formation of this wetland. Today, boat rides on this picturesque lake are very popular. The vivid flora and fauna of the area, makes it an ideal location for photographers. 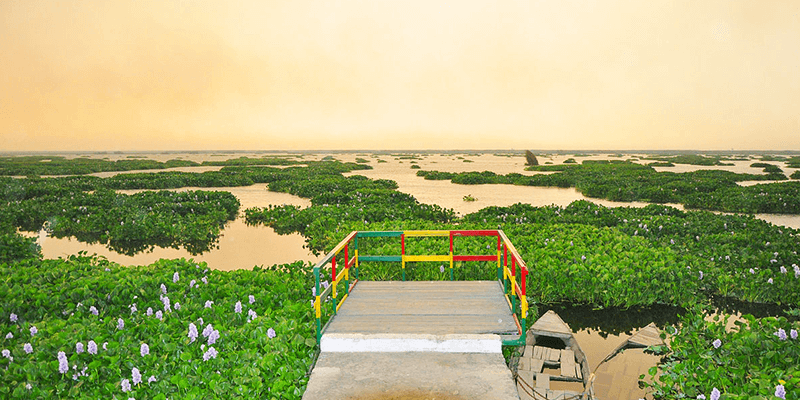 This wetland in Punjab is popular as a picnic destination among the locals, but for the tourists it offers some relaxing time in the middle of their hectic schedules. Trivia: It is believed that Guru Nanak Dev, the founder of Sikhism, took a bath at Kali Bein (river that provides water to Kanjli Wetlands and Lake). After taking a bath he disappeared for three days and soon after his returned Sikhism was founded. Patterned on the designs of the Grand Mosque of Marakesh (Morocco), the Moorish Mosque Kapurthala was built by a French architect. The scintillating hues, patterns and the horse shaped arched forms make it an architectural Chef d’oeuvre in all senses. Situated 3 KM away from the city, mosque does not have the usual marble domed structures (symbolic to Muslim architecture) but a brick-work facade sans a dome, with a rather leveled roofed entrance and a single caboodle minaret. This monument is a striking example of religious and cultural amalgamation. 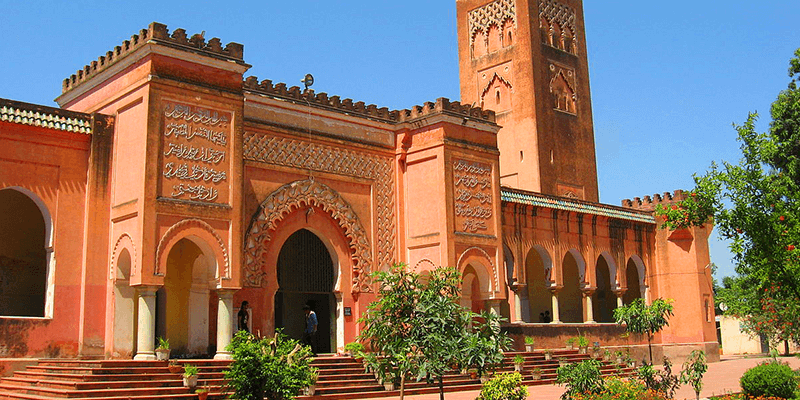 Maintained by the Archaeological Survey of India, today the Moorish Mosque is a national monument. Trivia: The exquisite architecture seen in the inner dome have been done by the artists from the Mayo School of Art in Lahore, Pakistan. Located in the heart of the city, this is an odd monument out in the French influenced city of Kapurthala. The Greco-Roman style of architecture resembles the Acropolis of Athens. The club building also features the Coat of Arms of the Kapurthala royal family along with their motto, “Pro Rege et Patria” (For king and country). In the past, the building housed a church and a cinema hall. But today, it functions solely as a club. The Jagajit Club is a Greek visual treat which can be used to get over the French hangover while visiting Kapurthala. Next articleFood delights of Bhopal, you cannot afford to miss! We want punjabi blog in railyatri website.